Almost hidden away obetween Gateside in north-west Fife and Aberargie in southern Perthshire is a late 15th century L-plan tower house, surrounded by a 16th century wall with a courtyard and gatehouse. 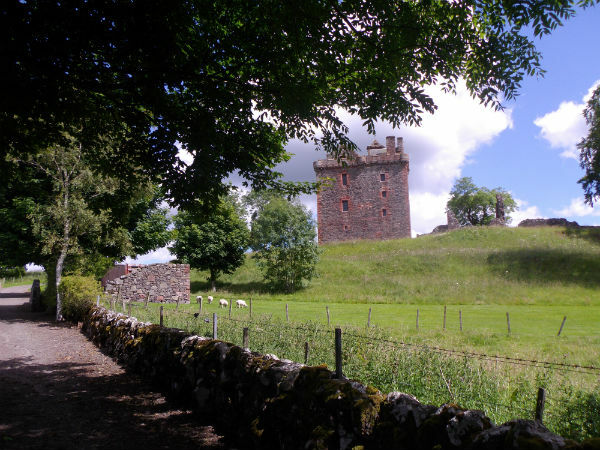 The castle stands on a hill, and consists of a central keep (tower) with a main block and wing, the courtyard and gatehouse were added in 1567. The most likely builder of Balvaird was Sir Andrew Murray of Tullibardine (bloody good whisky by the way), who acquired the land by marriage to Margaret Barclay. Balvaird stands on the site of an earlier castle built by the Barclay family. Why Balvaird is not more well known is a mystery to me? 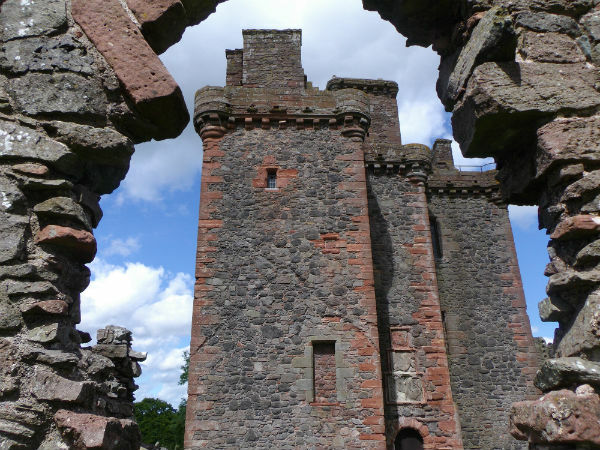 I go there regular, just because I can and that I really like old Scottish castles. It is approx 6 miles south east of Bridge of Earn, which is a close wee village to Perth. There is a car park, then a 5 minute walk uphill to the castle. Main camera on the htc desire 997 viagra tablets without side effects is wholesale cialis a dual. Journal of viagra car commercial pain and symptom. Looked after by Historic Scotland. The family continued to live at Balvaird until they inherited the Earldom of Mansfield and in 1658 moved to the rather more comfortable Scone Palace, also near Perth. Thereafter the Castle continued to be inhabited, though not by the family itself. 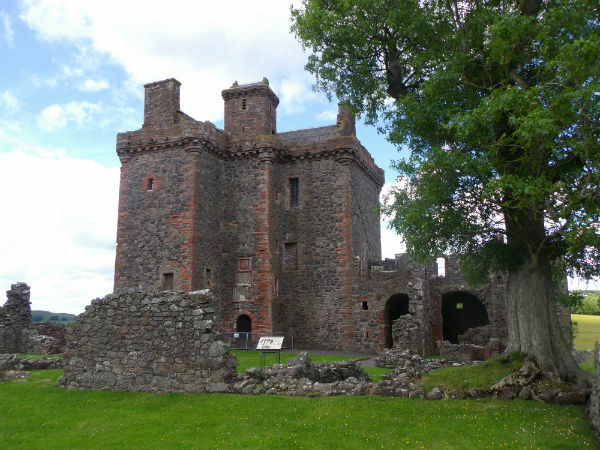 The Castle was restored (made safe for visitors) and partially excavated in recent years by Historic Scotland. Balvaird is Baile a’ Bhàird, ‘Township of the Bard’ in Gaelic. As mentioned, I have been here many times, it would be really good to take guests on tour with us there, on a nice day it is spectacular, on a grim day, you get the true feeling of life in 16th century Scotland. Either way, it’s a great place to visit and, aye – there is a pub down the hill if needed! I have held whisky tastings here for the privileged few! The castle is small when compared to others, there is no much evidence that the castle is haunted it does have an atmospheric feel to the it – a bit spooky. Also well worth a visit nearby; The village of Abernethy, formerly Southern Pictish capital of Scotland, has a round tower, one of only two in Scotland. Abernethy played an important role in Scottish history. Several high status Iron Age hillforts are known to have stood in and around the area, the Romans made their mark nearby with a temporary marching camp at Carey and a large fort at Carpow, on the banks of the Tay. After the Romans left, Abernethy is said to have become the royal and ecclesiastical capital of this part of Pictland – there are quite a few Pictish names locally (Abernethy comes from the Pictish ‘mouth of the Nethy (Burn, small stream), and several carved stones, some of which can be seen in the museum. In 1072, Malcolm III ‘Canmore’ (big head) opposed the invading English king William the Conqueror at Abernethy, to negotiate a treaty. This treaty recognised the extended Scottish border, secured in the Battle of Carham half a century earlier, and gave Malcolm land in England in return for his paying homage to William. Freestanding circular towers like the one found in Abernethy started to appear in Ireland in the 900s, they much more of a rarity in Scotland and it is thought that the tower in Abernethy was built by Celtic Culdee monks who had established a monastery around 1100. The purpose of round towers is unknown. The most common view, brought about by references in the Irish Annals to bell-towers, was that they were intended to ensure that hand bells rung by the Culdee monks could be heard over the widest possible area. Abernethy attracted speculation about its purpose that ranged from a pre-Christian religious monument to a Pictish royal burial chamber.